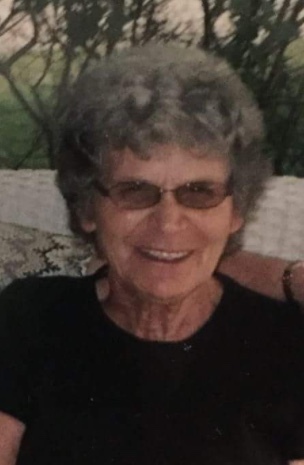 Doris L. Browning, 82, of Clyde, died at her home in Clyde on September 9, 2018. Doris was born in Yatesville, Kentucky on July 11, 1936 to Benjamin Franklin and Julie Evelyn (Leemaster) Bentley. Doris had worked for the Clyde Green Springs Schools as a crossing guard for the formerly South Main Street Elementary. Mrs. Browning always put her family first, lovingly spending time with each ont. On November 3, 1959, she married Earnest E. Browning. He preceded her in death on February 21, 2010. Survivors include four children, Jim (Tuesday) Browning of Port Charlotte, Florida; Leeann ( Mark) Wesney; Opal Browning and Scott Browning all of Clyde. Twelve grandchildren, fourteen great grandchildren and one sister, Aileen Cooksey of Stanton, Kentucky also survive. She was preceded in death by her parents, and four brothers, Gordon, Bentley; Garland Bentley; Leon Bentley and Franklin Bentley .A great grandchild has also preceded her in death. Visitation will be on Tuesday, September 11, 2018 from 4-6:00 pm at Mitchell-Auxter Funeral Home, 218 South Main St., Clyde, Ohio. The funeral will be on Wednesday, September 12, 2018 at 11:00 am with one hour visitation prior to the service. Burial will be in Bakertown Cemetery. Memorials may be made, in lieu of flowers, to Stein Hospice.